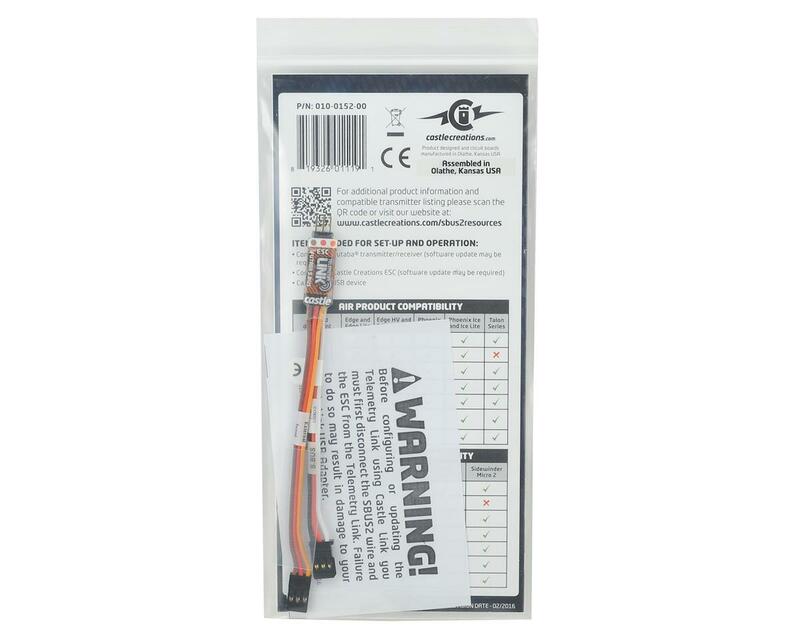 The Castle Creations S-Bus 2 Telemetry Link will allow you to monitor the voltage of your onboard battery(s), motor RPM, and ESC temperature. Traditional radio systems just transmit signals to the receiver, but Telemetry-capable systems also send real-time data from your model back to your transmitter. 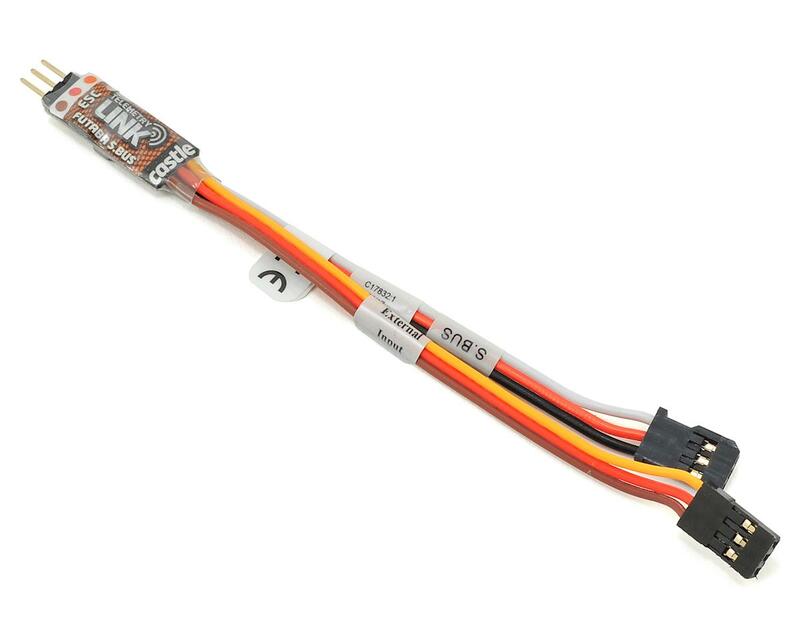 The S.BUS2 Telemetry Link was developed based on communication protocol disclosed from Futaba for use with specific Futaba S.BUS2 radios and compatible Castle Creations ESCs. Telemetry data can be displayed on the transmitter screen, or notify you when a defined threshold is exceeded, (battery voltage, ESC temperature, etc.) you can configure a vibration or sound alert from the radio. First and foremost, review essential compatibility parameters in user guide, in resources tab above. NOTE: The Telemetry Link will not work if the ESC is programmed for Multirotor or External Governor Mode due to the higher PWM frequency.